You are never going to get another opportunity like parents’ evening to discuss about your child frankly, and to ensure that you are literally frank you should not have that little spy over there. Bringing your child to the parents evening could be distracting and might become a hurdle in having an honest conversation between you and the teacher. Thus, the best practice is to not take them with you. The parents’ evening is not just the time for the teachers to put their thoughts about your child, try to talk to your child and ask if there is anything that they want you to mention. The school and the home have to work together, and if there are some thoughts that hinder your child then the teachers should know about them. Some parents forget everything when they enter the classroom and the teachers can’t get the valuable input that they wanted to elicit from you. To avoid such a situation prepare some notes about the things that you want to discuss with the teacher, these notes will keep your memory afresh. Avoid making long notes, make them short, like memory shortcuts. You might probably skip the things you wanted to ask their teacher earlier, that’s why start making notes a few days before the final date. You don’t want to just sit and listen during a meeting. To ensure that you have points to discuss and the conversation is a two-way talk, review your child’s school report and if possible then also look at your child’s work. Go through these things thoroughly and jot down anything that concerns you and if you find something pleasing or remarkable, then don’t forget to acknowledge the teacher for that. It is seen that too many people start discussing about the policies or the way in which school operates. Try to avoid it. The policies and management are concerned with the principal or head master, the teacher only knows about the child. In a parents’ evening the focus should be the child and not the school. If there is any problem that your child is going through – be it mathematics or problems with friends, you should raise the problems to your child as they arise, don’t wait until your consultation. By doing so you are only helping the teacher, they prefer to know about problems earlier so that they can start fixing them earlier. Similarly, the teachers should also inform the parents about issues when they take place and avoid making a nasty surprise during the parents’ evening. Talking to your child’s teacher might intimidate many parents, and also many teachers, especially the young and newly qualified teachers, get anxiety on parents’ evening. Keep in mind that you and the teacher are partners in optimizing your child’s performance. If it is possible to make regular contact with the teacher then do so, you will be in on the same wavelength with same goals – ultimately, benefiting your child. 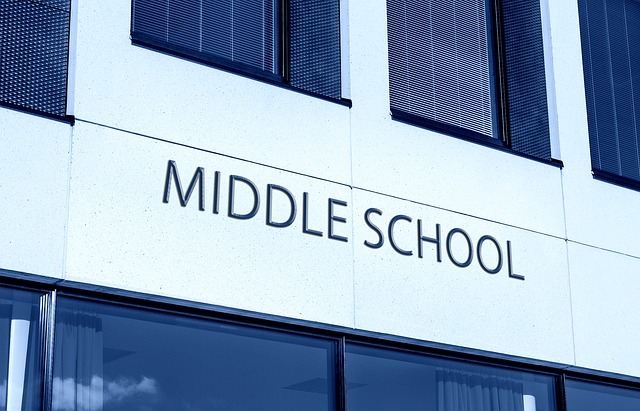 How Can Your Kid be Successful From The Middle School?